The other day we read an interesting article in the New York Times on small budget airlines and it got us thinking, what are some of the best ways to save money when flying to vacation? 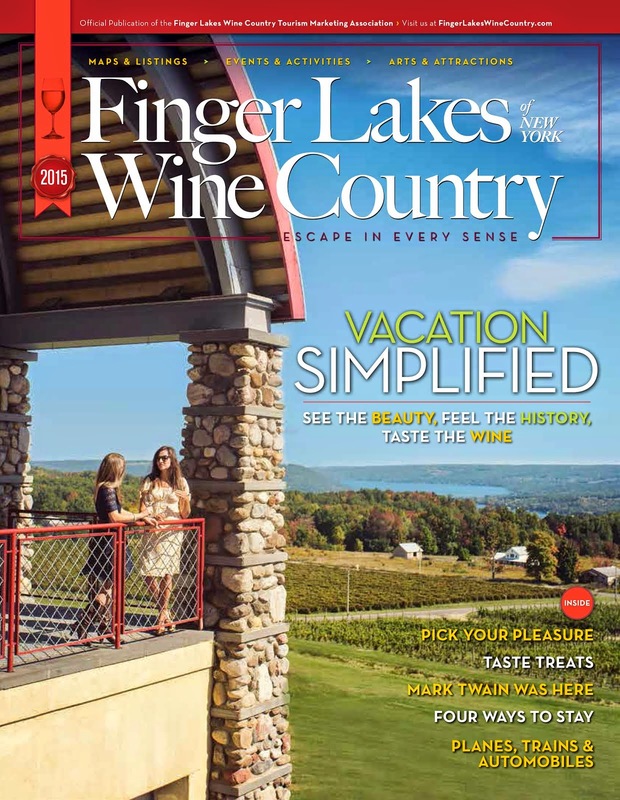 While most people who visit Finger Lakes Wine Country in Mark Twain Country arrive by car, we do have a very convenient regional airport that is serviced by Delta, US Airways and Allegiant Air. We recently caught up with Ann Crook, the airport manager of the Finger Lakes Wine Country airport (officially named the Elmira Corning Regional Airport) to get her insight and industry insider money saving tips on air travel. FLWC: In reading the recent article in the New York Times about the rise in popularity of regional airports, how is the Elmira Corning Regional Airport performing? Are more people flying in and out of our airport? Where are most flying to and from? Ann: ELM has been setting boarding records. We served more passengers in 2010 than in our history and are on pace this year to double the number of passengers that we had in 2006, just 5 years ago. Our number one destination is Orlando/Sanford, Florida, due to our low fares and direct service from Allegiant Air. Other top destinations include Philadelphia, Atlanta, and Denver for business travel and Dallas/Ft. Worth, Houston, and Oklahoma City for natural gas industry travel. FLWC: Can you tell us why regional airports are often a more affordable and/or convenient option than larger more well-known airports? Ann: Regional airports offer all the conveniences of a smaller facility: cheaper parking, shorter lines, and friendly staff who share your community. In my opinion, the very best thing about ELM is arriving here. When you get off the plane youre here. No long waits at baggage claim. No standing in line for a taxi or a shuttle. FLWC: Is there an easy way for travelers to find regional airports throughout the country? Ann: There are approximately 500 airports in the US that provide scheduled airline service. Most of those are small regional airports. One good way to identify these is on your on-line booking tool such as Kayak or Expedia. These tools often provide an option to show other airports in the area. This is a good way to find alternatives for your destination. You may be surprised at the ability to fly directly in to many of the countrys more remote vacation destinations. For example, Klamath Falls Airport in Oregon is the gateway to Crater Lake. The Charles M. Schultz Airport in Sonoma, California is the quickest way to get to the Sonoma and Napa Valleys. FLWC: How can a traveler find the best deals on airfare? Is there a better day of the week to purchase tickets? Is it better to purchase tickets further away or closer to actual travel dates? Ann: In general its better to purchase tickets as much in advance as possible. However some of the newer airlines are changing the rules. For example, Allegiant Air wants their flights to be full all the time. So you might get a real bargain by waiting until the day before a flight when they use deep discounts to fill every seat. That methods makes it difficult to plan, though. Purchasing on-line early in the week, like Tuesday, often produces good fares. Also, Saturday is normally the cheapest day to fly. If you have the time, its good to spend a couple of weeks tracking fares to your destination so youll recognize a good deal when you see it. Most on-line booking tools offer an e-mail or text alert to let you know about special fares. FLWC: Can you find the best deals on individual airline Web sites or the general travel sites like Cheap Tickets? Ann: If you know which airline you will be flying on that airlines web site is generally the best way to go. The other sites often refer to the airline site. The booking tool sites are good when you want to price compare between a variety of airlines and see your alternative airport options. FLWC: Are there any insider tips in getting first class upgrades? Ann: Upgrades and other perks are airlines way of recognizing and rewarding those flyers that contribute to the profitability of the carrier. The way to get those upgrades is to fly often, stick with one carrier, and purchase full-fare tickets. FLWC: With fuel prices on the rise, do you anticipate airfares rising over the summer? Ann: It is likely that air fares will go up as fuel prices increases. However, when gas prices soared in 2008 we found that local travelers chose to fly more out of ELM rather than purchasing gas for their car to drive to a larger airport. High fuel prices become another reason to use your local airport. FLWC: Someone on our Facebook page suggested getting a group of 20 friends together and chartering a private plane as a money saving tip. How would one go about finding private planes for hire? Is there a standard price range like in the limousine business? Ann: Sometimes chartering can be a good option. There are too many variable to give a standard price range: things like origin and destination locations, length of flight, size of aircraft, type of aircraft. In some cases a travel agent can help arrange a chartered airline flight. Or just do an internet search on aircraft charter operators in your area. FLWC: Allegiant Air, mentioned in the New York Times article flies in and out of the Elmira Corning Regional Airport. Can you tell us more about their innovative travel packaging? Ann: Allegiant Air isnt an airline, they are a travel company. AllegiantAir.com sells vacation packages that include airfare, hotel, car, and a variety of activity options. By purchasing a complete you can find some good savings. Allegiant specializes in connecting remote, rural locations with popular vacation destinations. Their direct flights from ELM to Orland/Sanford and Ft. Lauderdale have been extremely popular and are exactly the type of opportunity that Allegiant looks for. FLWC: Lastly, what do you see now as the major trends in air travel? Ann: Airlines are looking for ways to reduce competition and remain profitable. I see this resulting in segmentation of the markets: airlines are looking for their own niche rather than going head-to-head against competitors. Allegiant Air, for example, doesnt serve hubs and isnt interested in serving the business traveler who is making connections. They offer a no-frills service for cut-rate prices and you pay for every extra. Delta, on the other hand, markets their level of service to business travelers. At ELM Delta offers first class service to Detroit which is very popular to frequent flyers who are continuing on to destinations in Asia. I think well continue to see airline mergers which focus on strategic network development for business travelers and new entrants looking to serve the more price-elastic leisure markets. You can read more about the Elmira Corning Regional Airport in AutoPilot magazine. The Elmira Corning Regional Airport (ELM) has served Finger Lakes Wine Country since 1945. The Airport offers business and leisure travelers convenient access to major urban areas while maintaining the advantages of a small, regional airport: no big airport hassles, fewer delays, less congestion, shorter check-in times, quick and easy access to ground transportation. Ann Crook, in addition to serving as the full-time airport manager at the Elmria Corning Regional Airport, is actively involved with a number of regional organizations including Finger Lakes Wine Country Tourism Marketing Association, in which she serves as Board Chair.